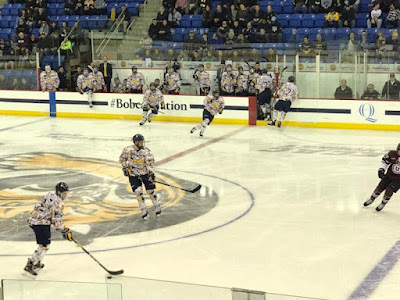 Its been two weekends of ECAC Hockey play for the Quinnipiac Bobcats and after two weekends of play they are a .500 team in conference play. A week after splitting at Harvard and Dartmouth, the Bobcats once again split the weekend slate after beating RPI 3-0 on Friday night before dropping a 5-1 game to the Union Dutchmen on Saturday. Who are these Bobcats right now? Are they team that went 5-0 in early non-conference play or the team of the last two weekends? That question will be determined as the season continues on. Friday saw the Quinnipiac defensive stifle RPI into only twelve shots the entire game along with blocking another eight. Freshman Daniel Winslow scored his first collegiate goal while Chase Priskie had two more points including a power play goal in the third period. Odeen Tufto had the other goal for Quinnipiac another one by way of the power play. The Bobcats finished 2 of 9 on the man advantage while holding RPI to 0 for 6 on their power plays. Andrew Shortridge recorded his 7th career shutout in the victory. 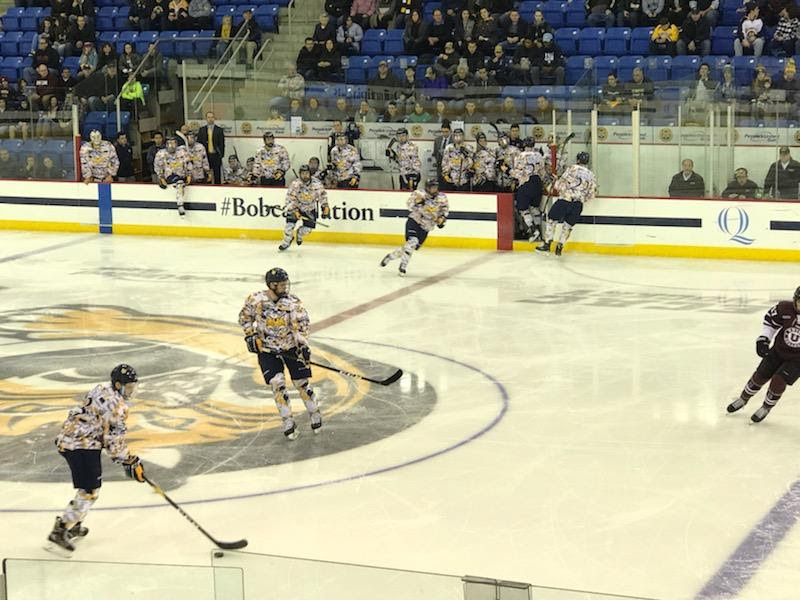 Saturday saw a match-up of two top 15 ranked teams between Quinnipiac and Union. A close game for two periods saw the Dutchmen blow it open in the third period in just a six and half minute span to run away with a 5-1 win. Union wasted no time getting on the board early in the game as Ryan Walker scored short side past Keith Petruzzelli (18 saves) right off a clean face-off win by Cole Maier just 3:12 into the opening frame. In the second period, Union doubled its lead when Josh Kosack crashed the net with a shot and banged home his own rebound past Petruzzelli for the goal. Quinnipiac's Michael Lombardi answered that goal with his first collegiate goal and point giving some momentum for the Bobcats. After an early power play in the third period that went nowhere for Quinnipiac, the teams battled for half the period with nothing to show until an odd man rush by Union led to a rebound goal by Anthony Rinaldi. Three minutes later Rinaldi again found the back of the net again off a rebound from Petruzzelli pushing the Union lead to 4-1 before Josh Kosack capped the scoring three and a half minutes later on a nifty back-hand past Petruzzelli. Quinnipiac lost their second game of the season despite out-shooting Union 35-23 and beating them 36-26 on face-offs. Union won key face-offs twice in the Quinnipiac zone leading to goals twice and had more quality chances on net than the Bobcats. Union goaltender Darion Hanson was strong with 34 saves in the victory as the Dutchmen improve to 7-3-1 (3-3-0 ECAC) while Quinnipiac falls to 7-2-0 (2-2-0 ECAC). This was the fifth consecutive win for Union against Quinnipiac with the Bobcats not having won a game against them since January 7, 2016. 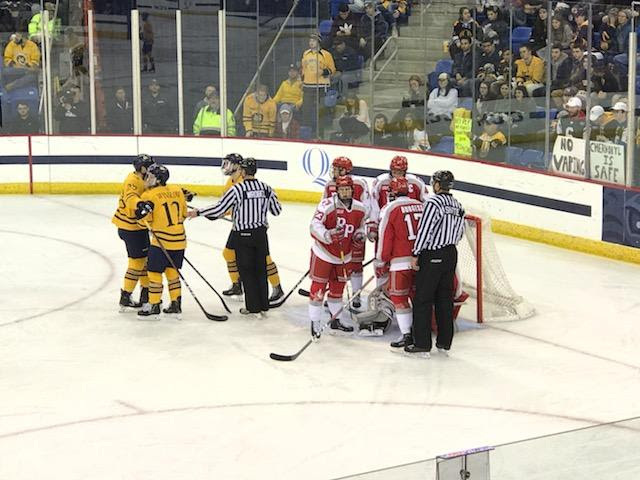 Next week Quinnipiac heads to Cornell and Colgate for a pair of ECAC games. The Bobcats return to Lynah Rink where they were swept out of the ECAC Quarterfinals a season ago.